I’ve been having a hard time staying in contact with friends lately. I think it’s my bipolar depression that makes me not want to connect with people; even when I want to connect with people, it’s a difficult activity. It takes a lot of work to stay in contact with people. Talking to people, whether they are family or friends, often feels like work, even when I’m talking to people who I want to talk to. It maybe something similar to emotional detachment, or it could be a reaction from my PTSD due to fear. I do my best to stay in contact with a couple of people, such as my husband and mother. However, it gets harder and harder as time goes on. I’ve always been such a talker, so I find it weird that talking to people is so difficult for me. I notice that as time goes on, I talk to fewer people. Especially my friends; I let go of them when I’m struggling because it’s too much for me to manage. While I separate myself from them, I’m thinking of them often. When I’m doing better, I then try to reach out to my friends. I’m lucky enough to have friends and family members understand what I’m going through and they don’t judge me for separating myself from them. My day had started out rough. I was feeling extremely anxious about restarting ECT. So meeting up with friends really helped me feel a little bit more at ease. I know I should get together with friends more often, but it’s not easy for me. My depression tends to take over, making it difficult, at times, for me to leave the house at all. I met up with some friends last night that I know from a support group I used to go to. It was hard to get myself to go there, but I was glad I went once I arrived. It’s nice to talk to and spend time with others that understand what I’m going through. We shared thoughts and stories. I was even able to laugh and smile. It felt great to do that. Today started off bad. I’m having problems with my Interstitial Cystitis, which is my bladder disorder. This is not the way I like to start off the day. IC causes pain, anxiety, and other problems. Oh well. However, I will be going to visit a friend later today, so that makes my day better. It’s a friend I met from my old bipolar support group. It’s so great visiting with someone who understands exactly what I’m going through. I just have to get through each day one moment at a time. The other day I went to a friend’s house for a birthday party. The girl is a very close friend of mine and I wanted to show up and let her know that care about her. That’s what friends are for; we show up for each other. I took Valium to help me get through it. I stayed much longer than I expected and I had a good time. There were about 13 other people there. I wouldn’t have done that for anyone else, but I was happy to show up for her. It was good for me to get out of the house on my own. My husband and I are on our way back home to Phoenix. We’re in Philadelphia on our 3 hour layover. I don’t really want to go back to Phoenix. I never have enough time in Connecticut with my family no matter how long I’m there for. Maybe I should stay for two weeks the next time I go. I would like to stay long enough that I actually want to go back to Phoenix. The party for my mom’s birthday went wonderfully. Everyone was thanking me for putting it all together, but I couldn’t have done it without everyone else. It was a potluck, so the majority of the food came from the guests. The only thing I made was quiche and I ordered an edible arrangement (which was definitely a big hit). I liked organizing the party because I always had something to do. I didn’t have to worry about conversations with other people since I was always moving. I had a few great visits with my grandmother. She’s 91 years old and is doing very well. I love the fact that I can speak openly with her. She does her best to understand my limitations. It’s nice that she things of my husband as well. Sometimes our conversations are weird and don’t make sense, but when they are fantastic when they do. I got to visit with my brother and his wife. I always enjoy talking to him. Our relationship has improved over the years. I also visited with my sister and her husband. That went well. She and I both work at our relationship; it’s a tense relationship, but it’s there. We will be okay as long as we keep working at it. Her kids are growing up so quickly. I love seeing them any chance I get. I spent some time with my aunt, who I get along with very well and enjoy talking to. There was a lot more that we did over the past week. We got a Christmas tree, decorated a bit, visited with some friends, helped my aunt out with her party, finished a jigsaw puzzle (I love doing those), and wrapped a bunch of Christmas presents. I went through a lot of Valium, much more than I normally do, but still not as much as I’m prescribed. Since I didn’t have the time to post every day like I normally do, I guess that’s a basic overview of the past week. I missed posting every day and I’m excited to get back to my regular schedule. Life has been so busy, I haven’t had a moment to rest. Yesterday was the party for my mom’s birthday, and it was wonderful! Of course, my quiche didn’t turn out right. Every other time I make them, they are fantastic, but this time they took a lot longer to cook than ever before. However, the best part is that everyone got along and had a good time. Everyone thanked me for putting the party together; that made me feel good. Saturday was also very busy. My husband and I helped my aunt get ready for a party she was hosting. I enjoy helping people out. It’s helpful to me when I have something to do. We also had dinner with a close friend. Today has been a somewhat lazy day. We’re hanging out and putting up Christmas decorations. I can’t believe we leave in a day and a half. We’ve been extremely productive, but no matter how much we get done, there will always be more to do. I have to go now to run some errands. Being on disability is not easy. 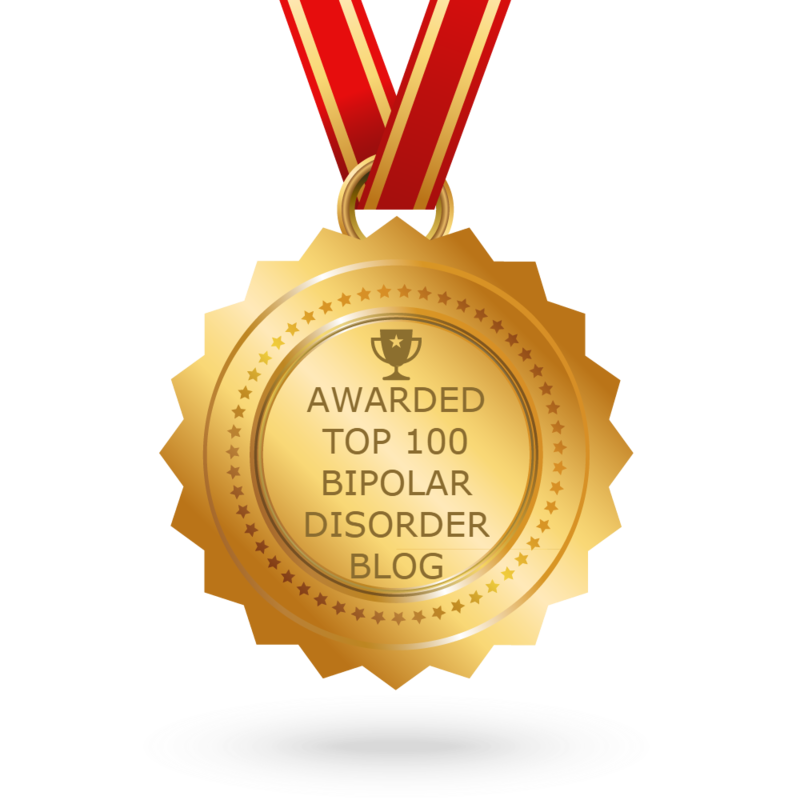 I’m on it because of my bipolar disorder, PTSD, and borderline personality disorder. As most of you know, dealing with the effects of these mental health disorders is difficult and exhausting. I have so many doctor appointments to manage. Going anywhere new is extremely difficult for me. In fact, my husband has to come with me whenever I go somewhere for the first time because I’ll have a panic attack. I don’t do well dealing with new people, specifically physical contact, I think that is from the PTSD. My social life is small because it’s difficult for me to meet and connect with people. I also struggle to keep in contact with the friends I already have because of the depression. I wish I could contribute more to our financial status, instead I contribute in other ways. I keep myself busy managing my life and my husband’s life. I don’t know if my bipolar disorder will ever be stable again. It hasn’t been stable since 2009. I don’t know what my future holds, but it doesn’t appear to be a mentally stable state.